SunZee is designed for everyone who enjoys spending time out in the sun, whether you surf, snowboard, or simply enjoy spending time with your kids in the park. Today, SunZee launched a crowdfunding campaign for their wearable sunscreen dispenser designed for anyone who spends time outdoors. 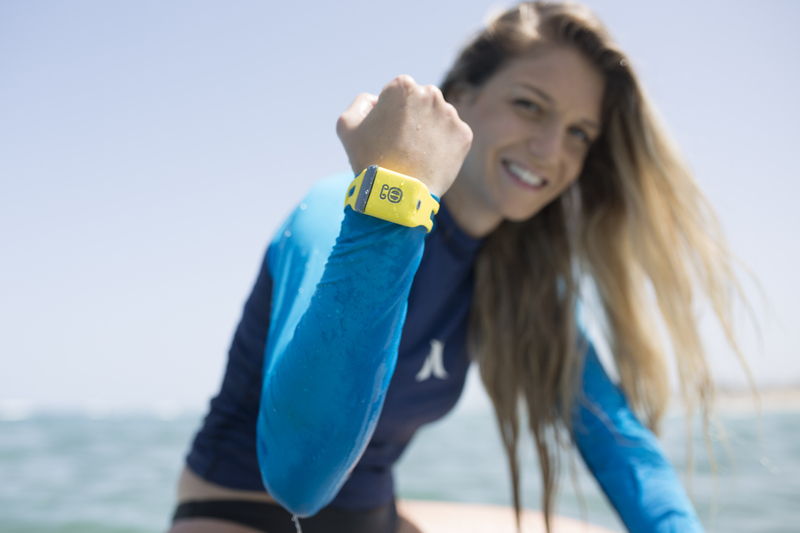 The wristband ensures users always have sunscreen when they need it most . SunZee is always within sight and always within reach so it's easy to remember to reapply and stay protected. 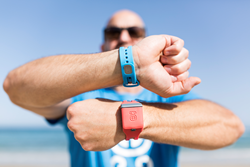 Intuitively designed, users press onto the wristband, and sunscreen comes out directly onto their fingertips. Each capsule contains two doses of 40 SPF water resistant sunscreen formulated for outdoor activity. It is FDA approved, chemical free, easily applies to wet skin, and does not burn the eyes or make your hands slippery or sticky, capsules are also fully recyclable. SunZee is now available on Kickstarter starting at $45. Each pledge will include a wristband, set of 30 sunscreen capsules, and neoprene carrying case. As avid surfers and outdoor enthusiasts, Co-Founders Nitsan Nir, Heday Kinarti, and Ori Ram, wanted a product that made sun protection accessible. As their own children now enjoy the outdoors, the SunZee team were also concerned about their kids staying protected. “Today, we are also concerned parents and want to help our kids stay protected. We looked for a solution, and when we couldn’t find one, we did what every entrepreneur does - came up with one ourselves. Two years later, after countless models and prototypes, we are proud to present SunZee!,” said Co-founder Ori Ram. SunZee’s Kickstarter campaign runs from July 26 to September 8, 2016. For a full rundown of the pledge levels visit their Kickstarter. Media wishing to interview their personnel should contact PR agent, Jackson Wightman at jackson(at)properpropaganda(dot)net or (514) 605 9255.